Here are two scenarios for my 2014 racing schedule--one is the "dream" scenario and the other is the probable scenario. Western States is the big X factor. If I get in--which I know is a snowball's chance in hell--then that changes everything. 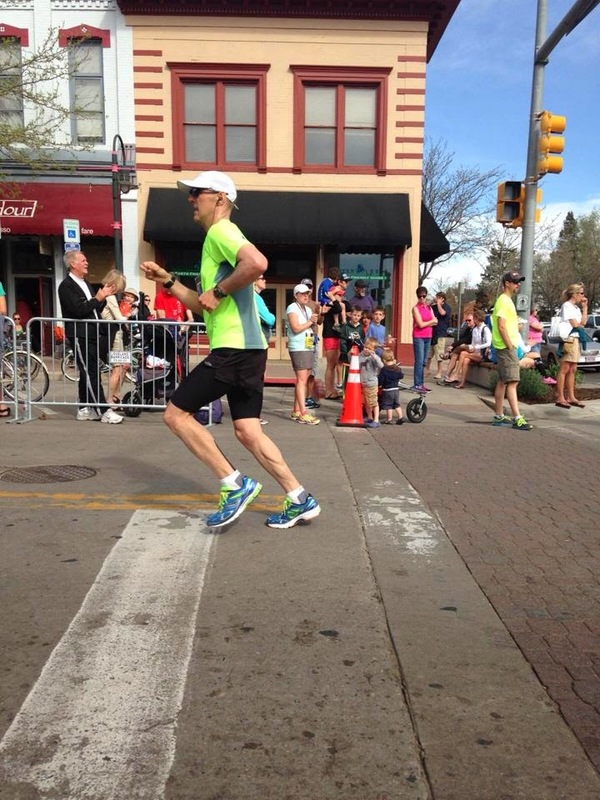 I would love to do a Western States/Leadville double this summer. Wow, that would be epic! I'll find out in a few weeks about Western. Again, I know the odds are stacked against me due to sheer numbers. But that's OK; in time, I know my Western States number will get pulled. In the meantime, every Leadville 100 finish gets me a step closer to that thousand-mile buckle. 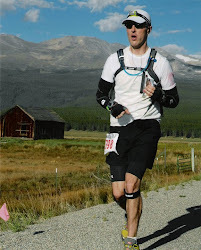 Beyond of course returning to Leadville in 2014, I really want to give the 24-hour another go. I did a 24-hour in 2009 and finished with 131 miles (never to be the same again). I really feel like I should have logged 135-140 miles that day--I made some first-timer mistakes like overhydrating (easy to do when you're running a 0.9-mile loop and there's aid every time around). I'd love to go down to Arizona late next year and give Across the Years a go. I've heard it's an awesome race and the course is apparently favorable for big miles. That’s a recent statement from the Hardrock 100, which earlier this week revised its qualifications standards to exclude the Leadville100, the Western States 100 and other big races from its list of feeders. The purpose of this post isn’t to whine about the decision. Let me state up front that Hardrock is a great race and it’s well-run and the people who participate year in and year out are, from what I know, representative of the best in this sport. It had always been my dream to one day line up for Hardrock—I see that course as an epic challenge. But at this point, my dream of doing Hardrock is on hold. I'll explain more below. Let me also state that Hardrock, in the statement above, shined a light on some legitimate concerns stemming from this year’s Leadville race. Simply put, there were issues—mostly related to growing pains and the challenges you get with new ownership—and I’ve shared my concerns on this blog and via other means, including direct outreach to the race. To date, the Leadville organizers have been rather quiet, to say the least. So no one knows what’s happening on the inside and whether or not the 2014 running will involve some needed improvements. My inclination all along has been to give the organizers the benefit of the doubt, even amid the silence. Call me naïve but I think the organizers care about the race. They had a come-to-Jesus moment this past August and let’s hope they learn from it and make adjustments. Sadly, there have been many people to lash out at the Leadville organizers, venting on Facebook, blogs, podcasts, etc. Some of this has been thoughtful criticism, but there’s also been plenty of slash-and-burn tactics and agendas at work. As a PR professional, I’m a bit perplexed as to why the Leadville organizers haven’t been out there talking. Being quiet during a PR crisis doesn’t work—you lose control of the issue and that’s what we’ve seen with continued attacks on the race and now this unprecedented power-play by another race (Hardrock). It's worth noting that, according to what I know, no one at Hardrock reached out to Leadville before the decision was public. To me, that's troubling. It’s important to acknowledge that Western States and Leadville, along with Vermont and Old Dominion, are among the original 100s. Western States was first, and then along came Leadville. The sport of 100-mile racing came to be because one man had the courage and tenacity to go the full distance against horses back in 1974. The rest, as they say, is history—and what a glorious history it is. Western States has always been a Hardrock qualifier. In fact, there have been many to attempt the grueling Western States/Hardrock double—both races happening a few weeks apart. In that regard, there’s been a link between the two races—a link that Hardrock seems to want to break. I say all of that because it’s truly incredible to me that Hardrock has now scrubbed its qualifier list of the race that got it all started in the first place—a race that is no easy feat with its 18,000 feet of climbing and 21,000 feet of descending through red-hot canyons. Simply put, there would probably be no Hardrock if Gordy Ainsleigh had not completed what was considered a crazy, stupid, asinine, impossible 100-mile run in 1974. And there certainly never would have been a Leadville, either. God bless Gordy Ainsleigh. The man is a legend, and the race he founded occupies a special place in the sport’s pantheon—as in front and center. Western States deserves all the prestige it now has--and it's been a responsible steward of that prestige, its place in the sport, and the trust that runners put in its organizers every June. Western States is the gold standard. And so it's rather shocking (and saddening) to see another race's actions amount to undermining Western States' unique place in the sport. Then you have Leadville. I’ll spare you a history lesson, but let me say this: the Leadville 100 was founded in 1982 to essentially save the town of Leadville from economic ruin. At the time, the town was within inches of death as a result of a mine closure. The skiing in Leadville isn't great so that wasn't an option for breathing new life into the town--but a 100-mile footrace might be! And so began the Leadville 100. While the town continues to struggle a bit, there is no doubt that the Leadville 100 and, to a larger extent, the Leadville Race Series have a significant economic impact. Leadville is a fairly isolated mountain town, so those who participate in the races, be it racers, crew members and families, usually stay in Leadville, where they spend lots of money. So it’s fair to say Ken Chlouber’s original vision for the race remains intact today. That said, there is certainly a love-hate relationship with the race series among town residents—and understandably so. Their small, quiet town is essentially invaded by endurance athletes every summer. But those athletes and their supporters spend lots of money in the process. So the town ultimately wins. Having established all of that, I really want to focus on Hardrock’s decision to eliminate Leadville from its qualifier list. This decision was made on the grounds of a judgment against Leadville—that the 2013 race crossed the line in terms of “environmental responsibility, support of the hosting community, and having a positive impact on the health of our sport.” No specific details were shared. That’s all the information we have. Let’s talk about environmental responsibility. Every race has a carbon footprint, whether it’s cups at aid stations, crew vehicles, use of pristine mountain trails, or transportation to and from events. Hell, even the clothes we racers wear represent a carbon footprint. Pointing a finger of blame at a race for its environmental impact opens up a can of worms and is breathtakingly judgmental when the race pointing that finger has an environmental impact of its own (be that as it may, why does Leadville and not UTMB, with its 2,000+ racers, get blamed here?). That said, littering is an issue I really want Leadville to take on in the 2014 race. There is no excuse to purposely litter on a trail…or anywhere for that matter. Every morning on my runs I pick up garbage. I get it, folks. Littering pisses me off. Big time. Now let’s address “support of the hosting community.” What does that mean? No seriously, what does that mean? Because with Leadville we’re talking about a race that brings an economic impact to a depressed mountain town that numbers in the hundreds of thousands, if not millions. My "team" alone drops $2,000-$3,000 while we're there. During race weekend, every hotel and cabin is booked. Restaurants and shops are full. The Leadville Safeway is bombarded. Hell, even the hospital is busier than usual. You get the idea. Leadville brings the cash, baby, and I love being a part of that. And when you look at the Leadville Race Series as a whole, the economic impact is even higher. I’ll bet there’s not another ultra out there that has a larger economic impact that’s focused on one area than Leadville. That said, the organizers need to be more transparent about this issue. I would love to know the exact economic impact the races have. On a related note, while I don’t know the terms of the sale to Lifetime Fitness back in 2010, I’ll bet that among them is a promise to bring lots of racers to Leadville every year. The more racers there are, the more dollars come to the community (and Lifetime?). If the field is reduced, the town suffers. It’s just that simple. So the relationship between the Leadville 100 and “hosting community” is pretty unique. And it’s also kind of untidy at times. As with almost anything in life, there are going to be conflicts now and then. Let’s not throw the baby out with the bath water. I’m getting a tad bored so I’ll try to get through Leadville’s purported failure in “having a positive impact on the health of our sport” as quickly as possible. Simply put, I don’t get this accusation. How is having a race that attracts over a thousand runners, many of them newbies, not positive for the sport? I thought growth was good? I guess it’s not? And how is Leadville’s hugely awesome economic impact on its “hosting community” not a big plus for the sport? That economic impact shows what ultrarunning can do for communities. Yeah, I don’t get this one. Someone needs to explain it to me. Final point: Lots of people love to say Leadville is flat and not that hard. Really? 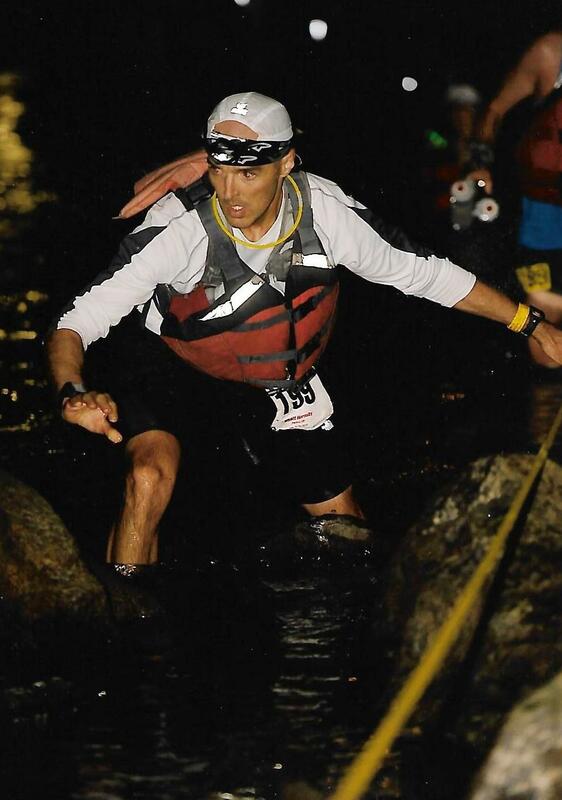 The race is 100 miles between elevations of 9,200 feet and 12,600 feet, with about 17,000 feet of climbing, two rugged mountain crossings and very technical terrain the last 15 miles when most of us are running in the pitch-black dark. The weather is iffy, to say the least. This is no walk/jog in the park, folks. So to suggest Leadville is flat and not that hard is just absurd. Is Hardrock harder? I don’t think you can answer that question because the two races are totally different. Whereas Leadville is mostly runnable, Hardrock requires a lot of hiking. So it’s unfair to compare the two. But on the basis of the courses by themselves, yeah, Hardrock is in a league of its own. But Leadville will certainly help prepare you for it. I do hope this decision by Hardrock is revisited and overturned. Hardrock is a great race and it’s captured my imagination for years. The folks who organize Hardrock clearly have built and continue to maintain a great race. My favorite cover of Ultrarunning magazine was of Kyle Skaggs in the process of breaking the Hardrock record—a record that still stands. I’m in awe of how tough that race is and of the people who do it year after year. Sadly, until this decision by Hardrock is overturned, I’ll refrain from entering the lottery. Not that I'd be eligible anyway... And not that anyone cares.